We give importance to the safety of the face of your workers and for that we have introduced an impeccable variety of Face Protection Products. These face protection products provides complete safety against heat, steam, gases, chemicals etc. Made from excellent quality material our face protection products are highly acclaimed by our clients. The availability of products as per clients demand and specific dimensions provided by them has eased the customers. 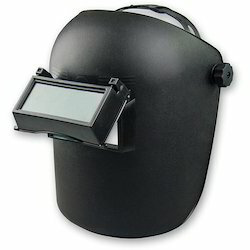 To meet divergent demands of the clients; we bring forth an exclusive range of Auto Darkening Helmet Shield. The given product provides complete protection to head and face. It is provided with redesigned headgear features which can be easily adjusted to offer better fit and comfort. 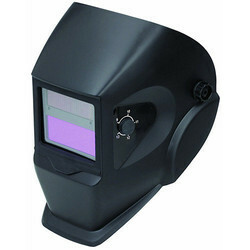 We have established ourselves as a renowned firm instrumental in offering an extensive assortment of Face Shield. The given product is widely used to provide excellent protection against dangerous objects, chemicals, and other hazardous material during various industrial applications. Besides, these are sturdy in design and can be availed at economical rates.